My thanks to Gautam for lending me his precious Montblanc 146 fountain pen for review. 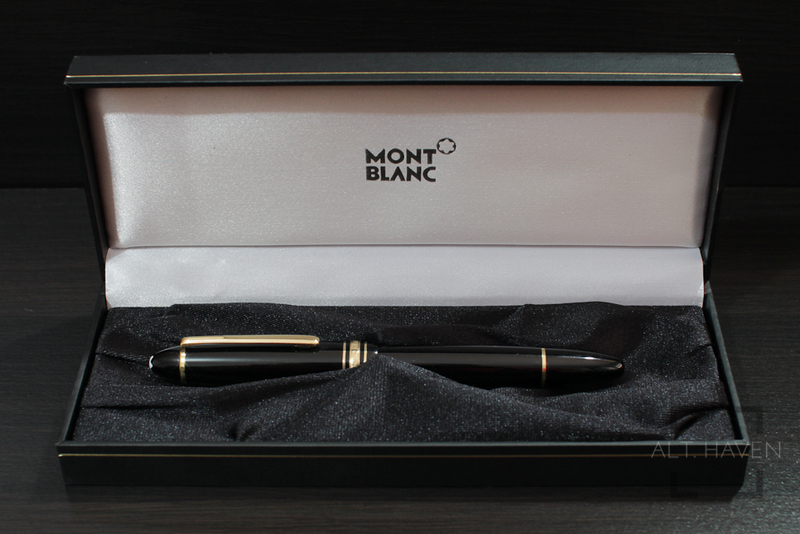 Montblanc is a brand that everyone recognises. It’s a brand that enjoys brand recognition from both pen lovers and non pen lovers. However at the same time, it is also a brand that pen lovers either love them or hate them. Some regard Montblanc pens as pieces of well made writing instruments but others see the pens as overpriced pieces of plastic. I personally don’t have an opinion one way or the other. There is no denying that Montblanc pens are expensive and there are cheaper options around. However you are paying for the brand recognition hence the high price. Putting value aside, that’s get down to the pen itself. The Montblanc 146 is a piston filler fountain pen. It’s a traditional cigar shaped pen with a black body accented with a gold plated clip, centre band and piston knob band. Well, you can say the design is classical but I found it rather boring, too many pens have a similar colour and look. Of course, there is the white star at the top of the cap. The pen though made of precious resin feels solid and it has a very satisfying heft to it. Unposted, the pen feels well balanced. I can see why this is a popular model among the Meisterstuck series. 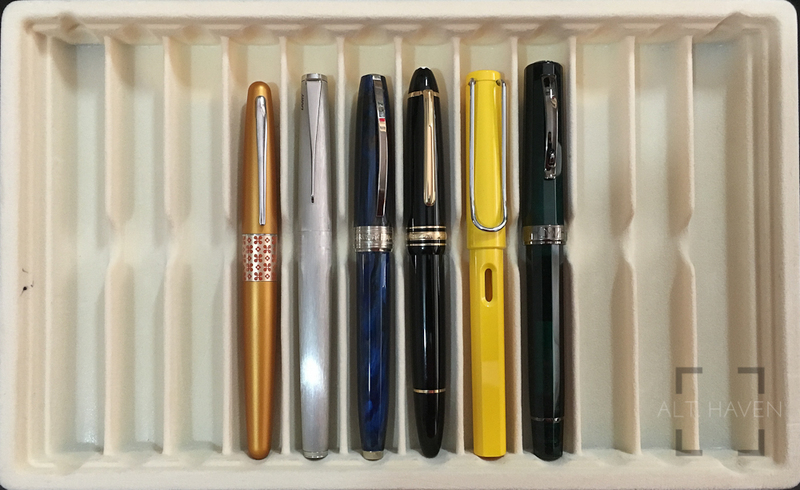 With the cap posted, I found the pen top heavy and it turned the pen way too long for practical use. Of course take into consideration that I do not have large hands. The gold clip is a simple affair. It is mostly straight, flaring out wider towards the end, ending with a small blob. The centre band has the words “MONTBLAC MEISTERSTUCK No146” on it. Uncapping the pen just takes one full revolution of the cap. However, I did find that the cap has a habit of coming loose in my pen roll. I am not sure if this is me being paranoid and not tightening the cap enough or it’s just inherent in this pen. The grip is smooth. It ends with a very slight lip just before the nib. The threads are smooth and doesn’t cut my fingers. I love the striped ink window. It makes it clear to me if there is still a lot of ink left in the pen or I am just looking at an opaque part of the pen barrel. Especially if I filled the pen up with a dark ink. The piston works relatively well though it probably needs a re-greasing. The piston feels somewhat stiff as it works its way up and down the barrel. I don’t fault the pen that since this is a workhorse pen for my friend. The two toned 14k medium nib has the 4810, the Montblanc emblem, nib size and 14k stamped into it. 4810 is the estimated height of Montblanc the mountain. The nib is wet and juicy. Most medium nibs I can handle, this one is bordering on being too wet for a lefty to use. I should have filled it with a dry ink instead of Pilot Iroshizuku Kon Peki. I didn’t expect it to be quite as wet as it is. Wetness aside, the nib is smooth. It glides easier across the page, dumping ink on the paper as it goes. 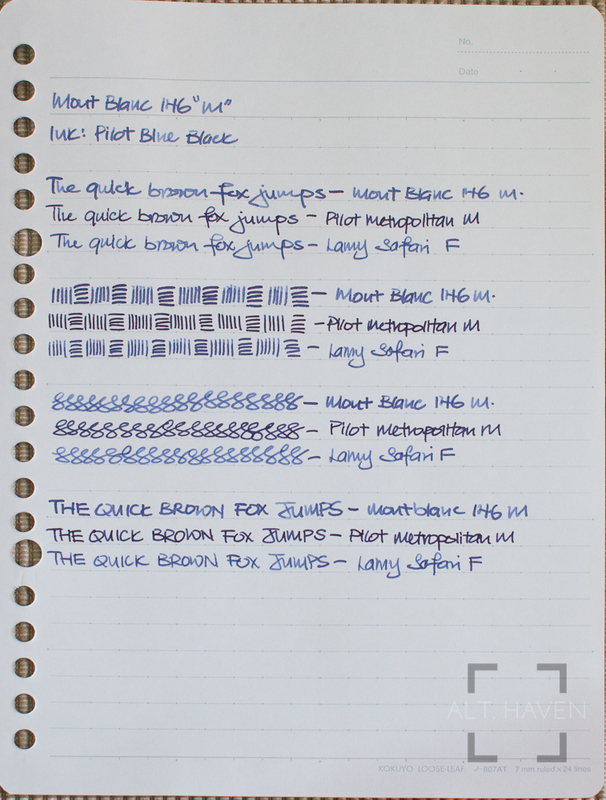 The Montblanc 146 is a good pen, is it a great pen? I didn’t think so. It is well made and comes with a good nib but it didn’t have much character. Maybe it’s the classic design of the pen, maybe it’s the nib that’s too wet and juicy for my liking. Personally I wouldn’t buy this pen brand new at retail price but if at a good second hand price, maybe.